Drama skills give young people a well developed foundation to help them feel more confident on stage and in life. Fun theatre games develop concentration, team building, trust and confidence. - Key stage one students follows on from their EYFS by continuing to develop skills in communication and language, physical development, personal, social and emotional development. - Physical development will include activities which encourage good control, co-ordination and spatial awareness including improvised movement, mime and dance aimed at developing self expression and audience awareness. Angela currently teaches after school clubs in the local Chichester area. 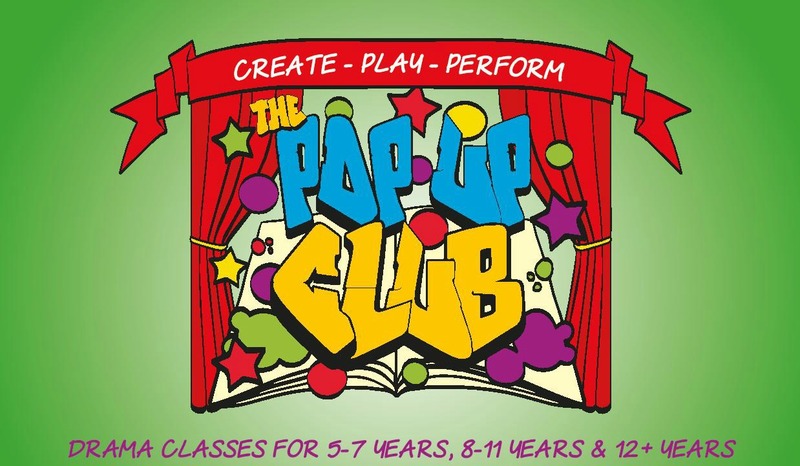 If you are interested in having The Pop Up Club as an after school club please enquire to the email below. Angela prepares students for LAMDA exams. Please contact directly for private tuition or should you wish to have Angela apply to your school to offer LAMDA for students. Throughout the year children are given the opportunity to compete in local competitions, festivals and/or performances. Angela completed a Certificate in Performance (Dance) at the Centre for the Performing Arts in Adelaide and the One Year Acting Course at The Oxford School of Drama and worked as an actress and dancer professionally for 10 years. As a young dancer she trained in RAD ballet, tap, acrobatics, jazz and singing and began her professional career at the age of six. Angela was a company dancer with Expressions Dance Company in Australia and worked commercially with choreographers including Paul Mercurio, Jason Coleman and Garry Stewart, Graeme Watson. Following her dancing success she spent years working as an actress in subsidised, commercial and corporate theatre, television and film prior to her migration to the UK. Once in England Angela trained in Oxford where she was chosen to perform in The William Poel Festival at the Royal National Theatre and went on to act in a number of short films. Leaving the performing behind she went on to work in many areas of production including a 9 year stint with a West End theatre producer prior to having her family and moving to Chichester. Angela now teaches drama and dance, running her own classes as well as teaching on a freelance basis. Angela worked as a Senior Youth Theatre Practitioner at Chichester Festival Theatre until recently stepping down to spend more time with family. In 2016 she was appointed Creative Director for Spotlight on the Edge, a one-off charity event involving performances from over 200 local children held on the main stage at Chichester Festival Theatre. Angela currently teaches privately and at local after school clubs. She is a qualified Wheelchair Dance Instructor, is currently completing a qualification with the British Theatre Dance Association and holds a WSCC Chaperone Licence and is fully DBS checked.